Our flight landed in Manila before we went to Bicol. 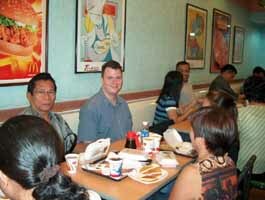 My first meal was at McDonald's, locally known as McDo's (Mac-Doe's). I made a vow to only eat Filipino food while out here, so I had longanisa, a filipino sausage, for breakfast. Quite tasty! 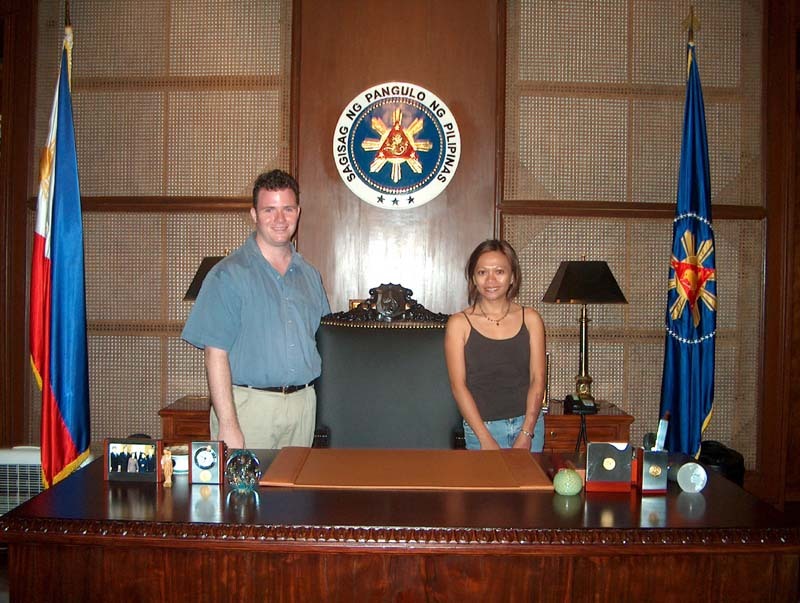 The Presidential palace in the Philippines. 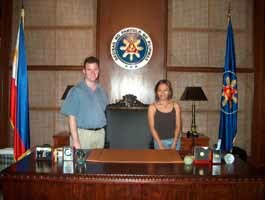 Dulce's aunt (who works for the Manila Bulletin) arranged us a private tour of the palace; guided by the President's Protocol Officer. We didn't get to see Pres. Arroyo since she was on the campaign trail. 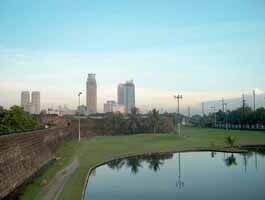 The old Spanish colonial fort, it guarded the entrance of the Pasig River. 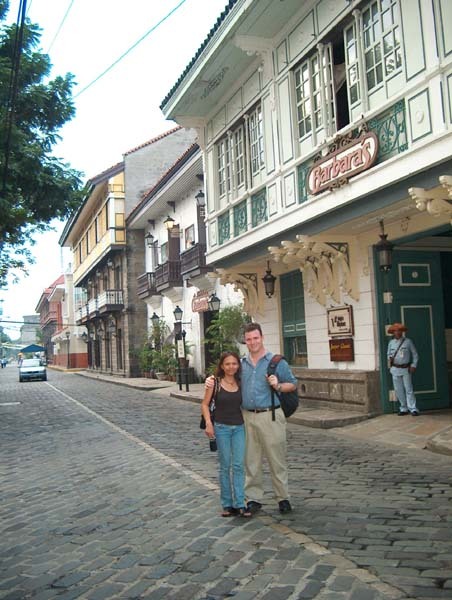 The Spanish walled city, it's a charming historical area to stroll around. Intramuros held the Spanish government and Filipinos were not allowed to live inside the walls. One of the many cathedrals in Asia's only Catholic nation. 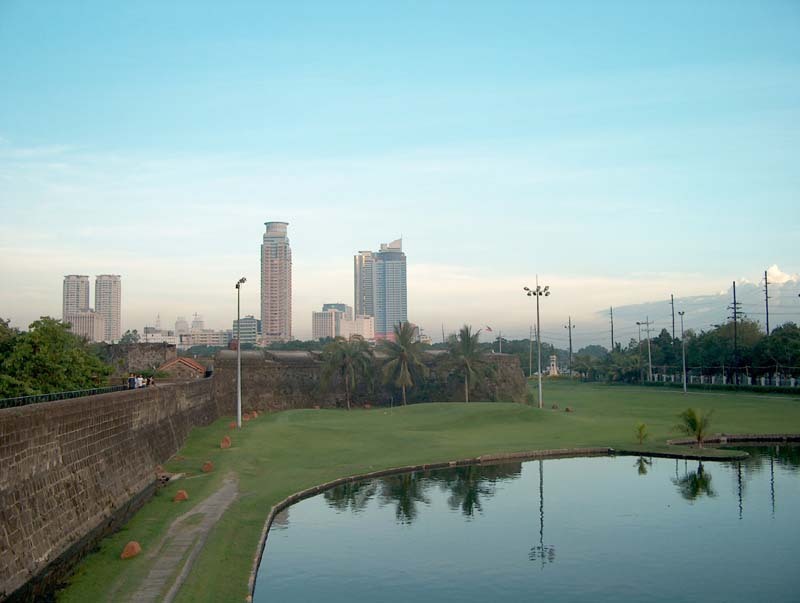 The original walls stand from the Battle of Manila in 1944. The exhibit said after Warsaw, Manila was the most devastated city in World War II. Named after Jose Rizal, he led the independence movement against the Spanish. He was executed and buried under the monument. 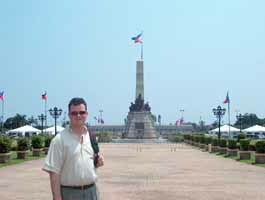 There were soldiers guarding it and performing ceremonial rifle exercises. 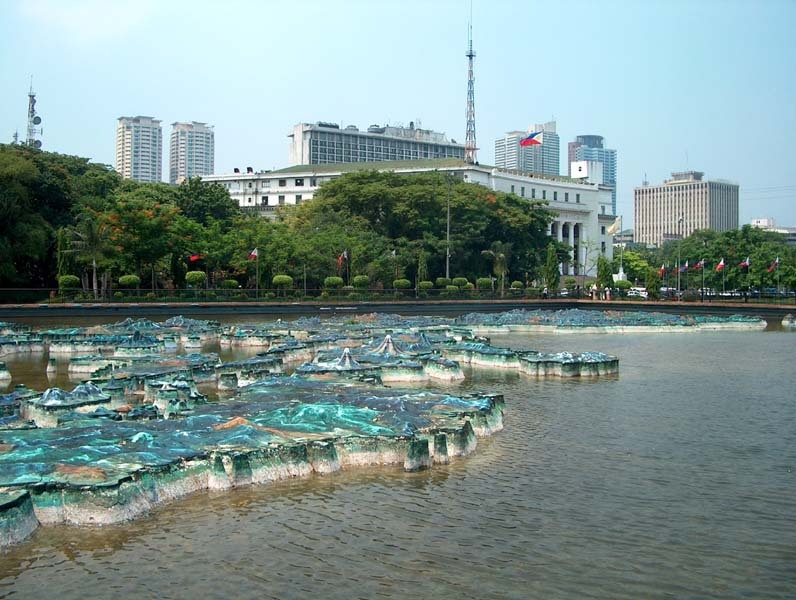 Located in Rizal Park, the pond has a relief map of the Philippine Archipelago. 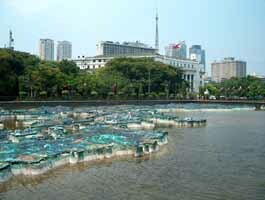 The country consists of over 7000 islands. 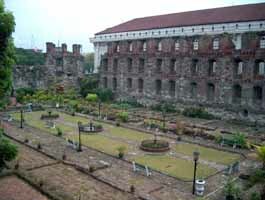 Behind that is the historical museum. 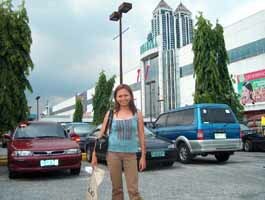 Billed as the largest mall in Asia, it may be pretty accurate. It's certainly the largest mall I've been to outside of Minneapolis. 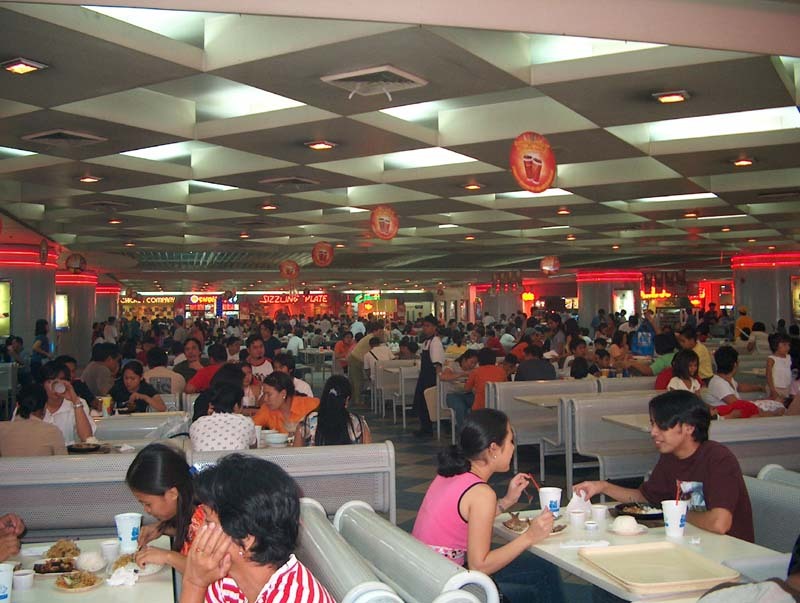 There is a gigantic food court with some of the familiar chains, but I only ate at the local places. Shoe Mart, or "SM" is the Philippine version of Macy's. Gee, I wonder where it got its name? 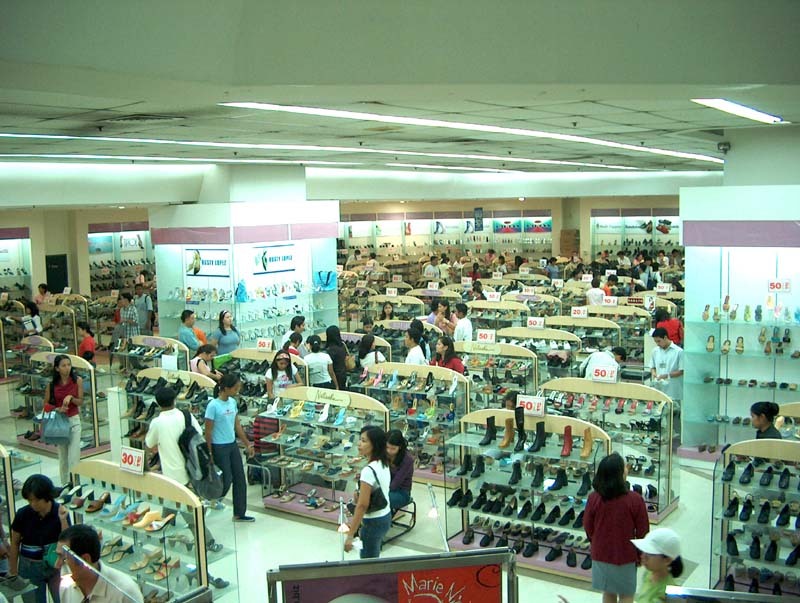 Imelda Marcos' influence lives on! Dulce's Aunt Crispina works for the Manila Bulletin newspaper, as the editor for the "Celebrity World" section. Besides arranging our Malacañang tour, she also brought us to the premiere party for Sabel starring popular Filipino actress Judy Ann Santos. 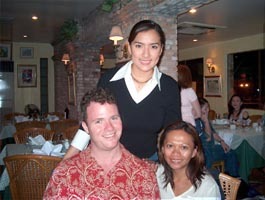 We also got to meet the beautiful actress Ara Mina at her restaurant Osteria Italia in Quezon City. She even treated us!